The Elvie modern Wing Chair is available in your choice of leather or Warwick Fabric Its construction of hardwood and plywood frame ensures a robust base for long term use. It is surprisingly comfortable with great lumbar support. The Elvie Modern Wing Chair available in a wide range of colours. Imagine the inclusive comfort of a Wing Chair and combine it with modern lines and style and you have the Elvie. The deep buttoned upholstery adds a traditional wing chair feel to the modern design. Displayed in black leather, the Elvie is also available in a wide range of leather colours and your choice of Warwick fabrics. Perhaps try a luxurious velvet. Or have it made in a red, or purple velvet. The choices are endless. This beautiful, modern Wing Chair is available in your choice of leather. Its construction of hardwood and plywood frame is backed up by a 10 year warranty on the frame. The seat is webbed in the base and foam in the cushions ensuring long life and comfort. This modern wing chair is available in a wide range of colours. 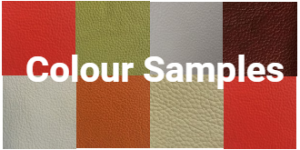 As mentioned earlier, there are a great many options available in either leather or fabric. choose from our selection of leather, or peruse the Warwick Fabrics website to add an individual flavour to your new chair. Chesterfield Lounges offer a huge range of wing chairs, chesterfield sofas and recliners and we ship to all parts of Australia at a very reasonable cost.